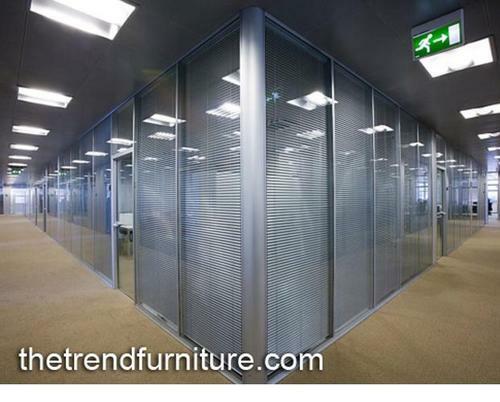 Backed by the years of experience and expertise, we are engaged in offering a wide range of Full Height Glass Partition to fulfill the demands of our customers. These products are finely designed by the experts and are highly demanded by our clients. A team of skilled professionals and efficient workers design these products without any error. The Trend is the sole proprietorship based company which was established in 2003 at Coimbatore in Tamil Nadu, India. We are involved in the manufacturing, supplying and exporting of Bunk Bed, Double Bed, Dressing Table and many more. Our products are highly demanded by the clients due to their attractive look, fine finishing, premium quality and many more qualities. As we are the client centric organization, so the primary aim of our company is to satisfy our clients completely by offering the world class products as per their various demands and requirements at market leading prices. Also, we have vast client network due to our client centric approach. We take care of our client in every possible manner to satisfy them completely. We have been maintaining a healthy relationship with our clients since the establishment of our company which makes us trustworthy in their eyes.